Naughty Heat for a Delectably Dark Tan to be Envied by All! Talk about a tantalizing rosy flush with a dark golden brown hue. 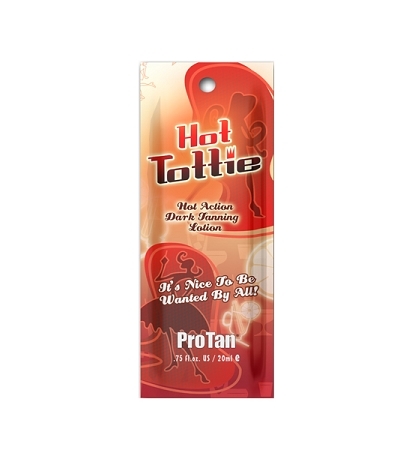 Hot Tottie leaves you with the deepest, darkest, long-lasting tan imaginable without any bronzers. Vitamins A, C and E help maintain healthy skin while the rich moisturizing blend of Mango and Cocoa butter assures a silky smooth, supple tone both during and after tanning. Featuring just the right amount of heat and tingle to leave you glowing. It's Nice to Be Wanted By All!